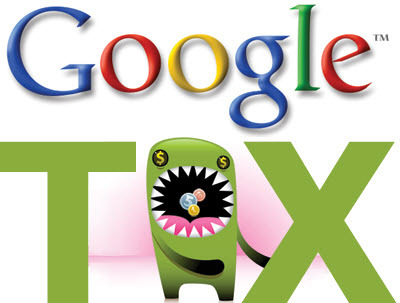 Google Adwords Tax Calculator - Avoid The AdWords Idiot Tax! How Much of YOUR AdWords Ad Spend is Wasted? The Google AdWords ecosystem is a $20 billion+ market which quite literally drives trillions of Dollars in commerce. In spite of its great success, many marketers have not grasped its power yet. Some have ignored it. Thousands of advertisers have tried and failed. Given that advertisers are already spending over $20 billion a year on the ads, it is not as easy to break into as it once was. Competition is entrenched, with well optimized campaigns the provide the profits needed to fuel further distribution and growth. And quality scores have the house (aka Google) competing against new advertisers who are looking for cheap clicks. Google makes it easy to set up a new campaign literally in minutes. And they offer new advertisers a wealth of information, but to some degree it is like the fox guarding the hen house. The AdWords system is set up to maximize Google's yield, often at the expense of new advertisers - who do not realize the hidden "tax" in many default settings. These extraneous impressions fleece advertisers out of billions of Dollars a year in lost profits. And they cost some advertisers so much that they give up before they really learn how AdWords works. This calculator does not store any personally identifiable information. We do not even know what keyword market you are in (because we don't ask). The goal of this tool is to help new advertisers become successful with AdWords. These estimates are just that: estimates. This tool is not an exact science which gives you results to the penny, but one that suggests areas for improvement. Your improvements from following our suggestions may be greater or lesser than the amounts shown. The above tool assumes you are looking for direct measurable returns and data like lifetime customer value. With more abstract ad campaigns focused on branding it is much harder to measure efficacy.